Back by popular demand, Intrada presents a straight reissue of the first Special Collection release from 2000. Composer Basil Poledouris chose to anchor his score around a brief 3-note motif, heard at the very beginning of the score on solo flute. Extremely flexible, this motif worked alone, sometimes expanded into longer ideas, blended with more abstract material and played as a muscular line for the action music. No matter what direction the music takes, the motif is close at hand, opening the score, following characters in and out, boarding the “218” and finishing it all. As the emotional centerpiece to his music, Poledouris chose the Rockies, letting the motif act as a signature for the snowcovered peaks. For outdoor settings Poledouris used a full symphony orchestra and a rich harmonic palette. For suspenseful segments he utilized electronic timbres and more abstract sounds. The violent scenes received some of the composer’s fiercest orchestral writing. But it was the speeding “218” that inspired a scoring highlight: energetic rhythms for low brass and percussion under fortissimo quotes of the primary motif. His work for the Conan series, Red Dawn, and Under Siege 2 are forerunners to this large, exciting orchestral work recorded with the Seattle Symphony. 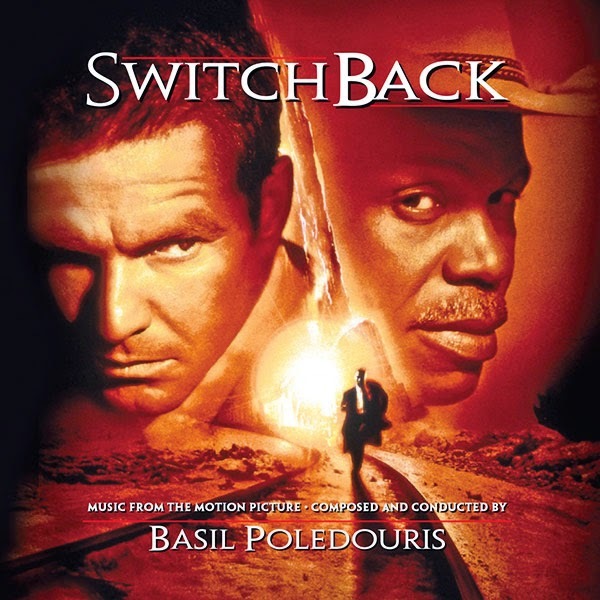 Switchback tells the story of obsessed FBI Special Agent Frank LaCrosse who's been playing cat and mouse for what seems an eternity, tracking a serial killer. His cross-country search takes a startling turn when this same killer kidnaps his son. The resulting conflict of interest pulls him from the case, but LaCrosse becomes more determined than ever to locate his quarry. Just Announced, if you missed it you get a chance to get this awesome score from Intrada!